add value to your most valued investment. 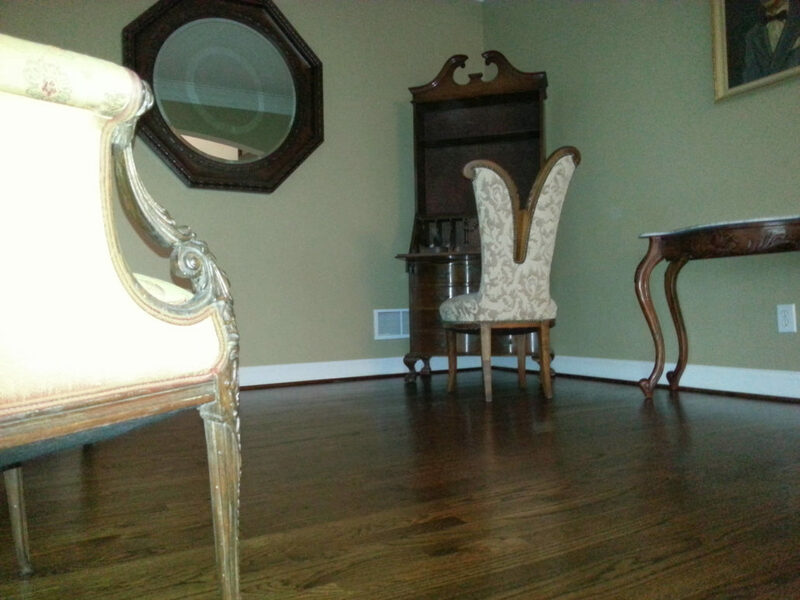 hardwood floors and laminate floors for over eight years. Our expertise and reputation preceed us. and read our customer reviews! 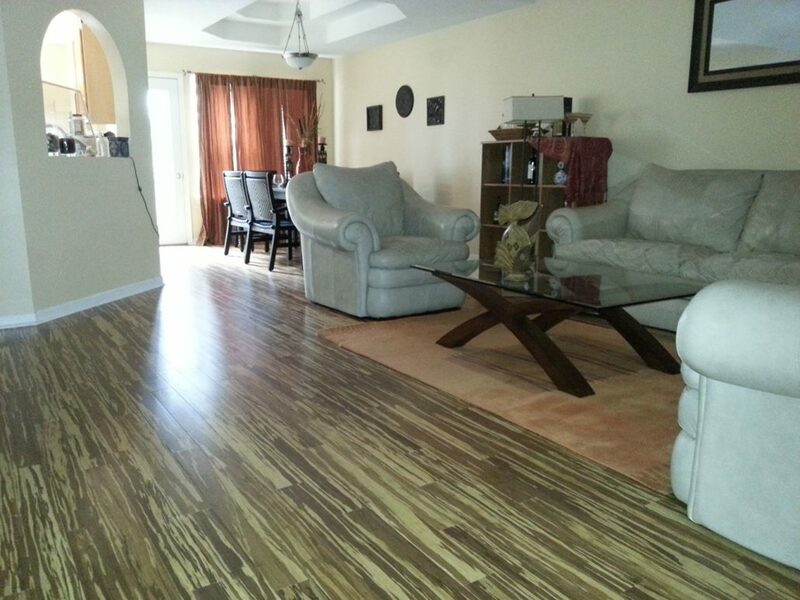 manufactured wood and laminate floors. 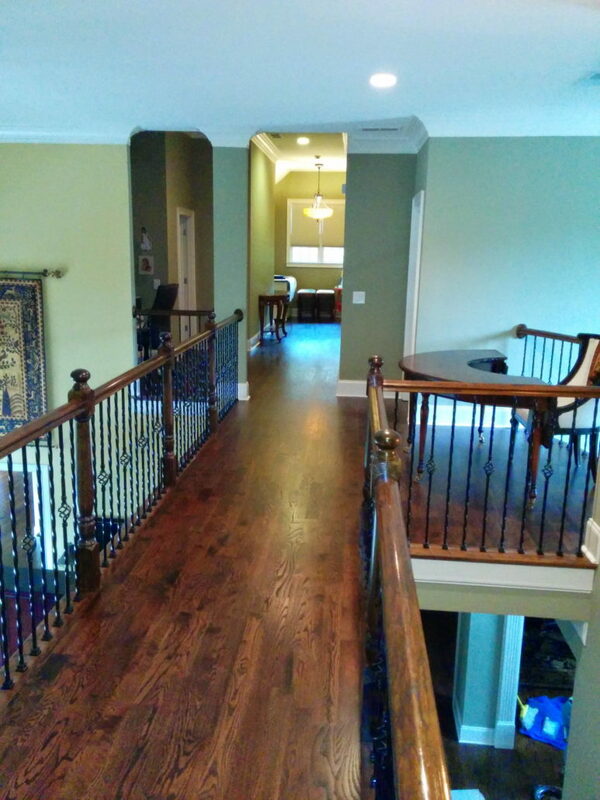 Rios Harwood Flooring specializes in the installation and repair of all hardwood floor types. 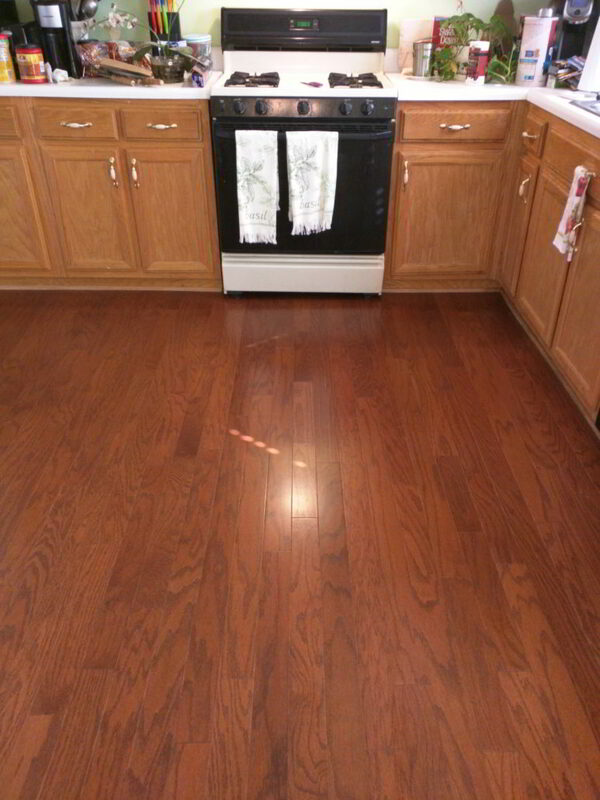 This includes laminate flooring, manufactured wood flooring and hardwood flooring. Quickest install (we can lay 750 sq. ft. in a day). Very little dust and debris, if any. No smell caused by the finish. 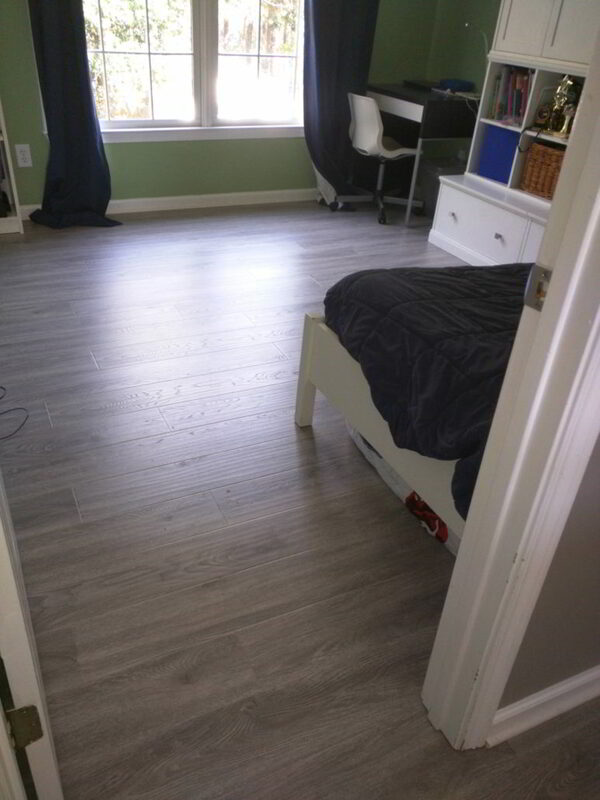 Comparable in price to a regular hardwood floor installation. Has the same life span as regular flooring. More convenient for the homeowner as it can be used immediately after installation. 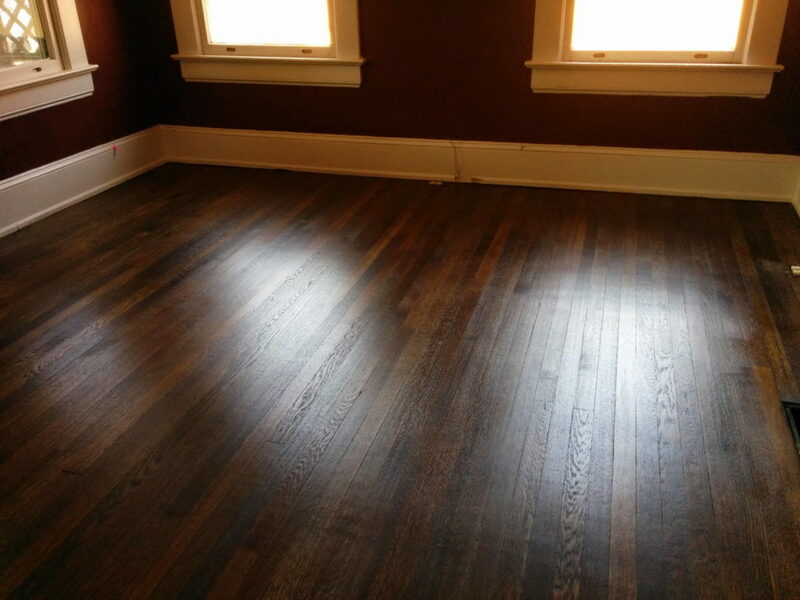 Approximately 20% of our installs are with prefinished flooring. 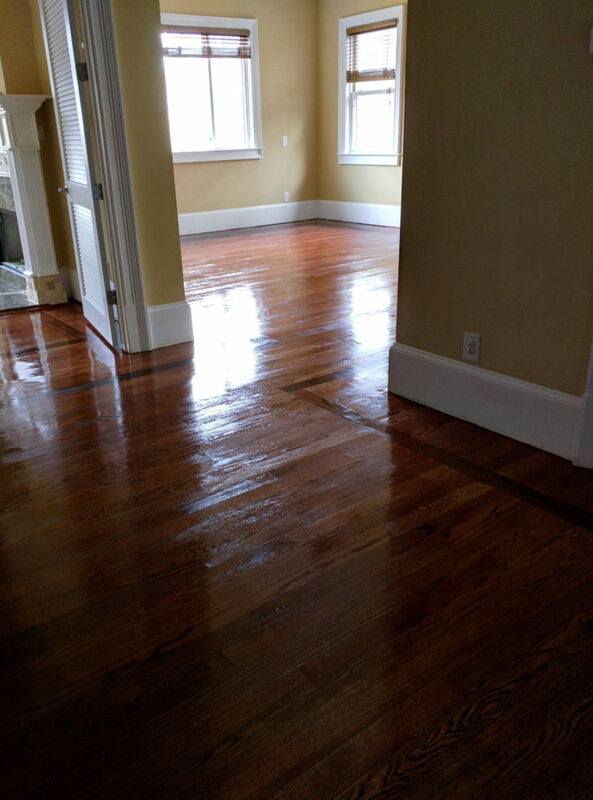 Generally, finishing a hardwood floor takes three coats applied over a period of three days, however, if humidity levels are high, it could take an additional day to complete the process. After the floors are sanded and cleaned, we apply the first coat of either stain or polyurethane (depending upon the desired finish). We allow the coat to dry over night and when it is sufficiently hard, we lightly sand the coat with a fine grit sandpaper (100 – 120 grit) to knockdown the grain, and to create a surface that will allow the next coat to adhere properly. The second coat of polyurethane is applied and allowed to dry overnight. The process is continued until all three coats have been applied leaving a beautiful hardwood floor that will last for years. 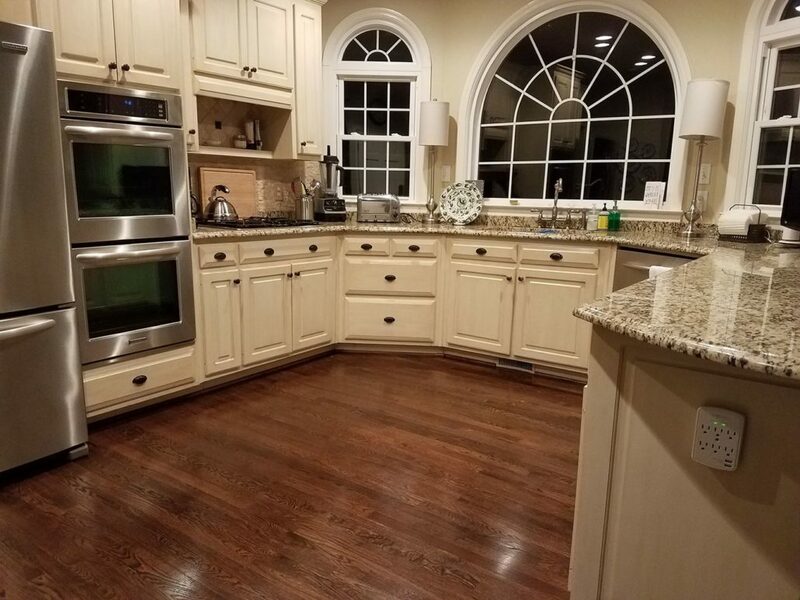 Oil based: 90% of the finishing jobs use an oil base poly, which has a light honey patina that adds to the beauty of the wood and brings out the natural woodgrain patterns. 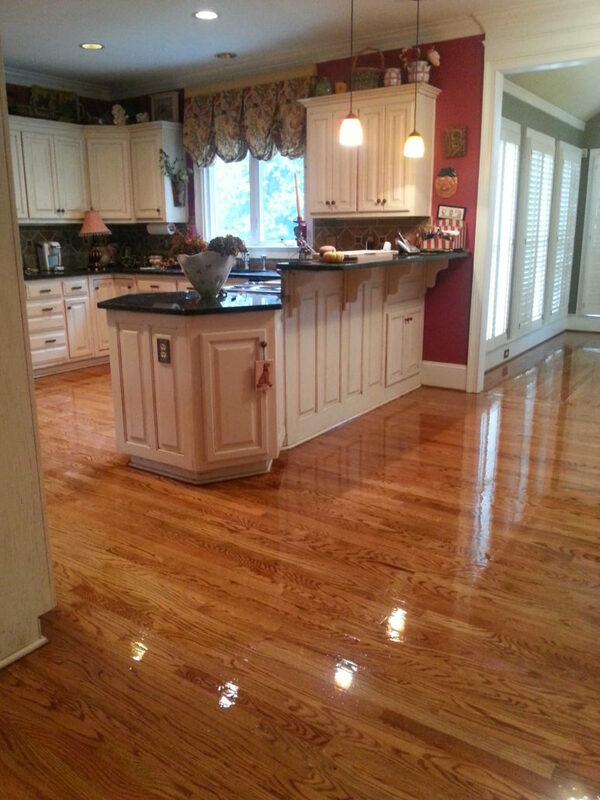 Water Based: Usually a clear finish that enhances the beauty of the grain without adding any color. Water based is used in situations where a light colored wood needs to meld into the decorating scheme of the room. Our high quality stains come in a variety of shades and patinas. 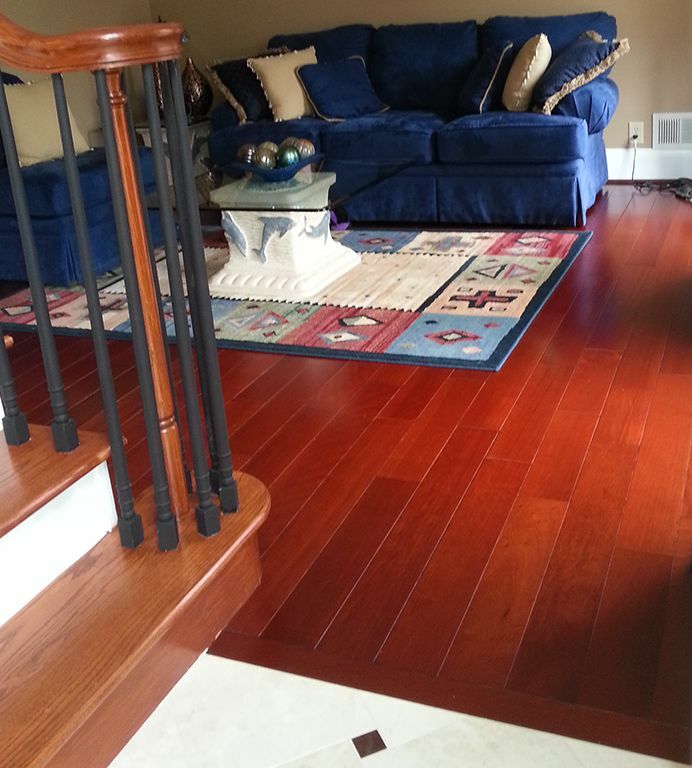 They are designed to penetrate and seal the wood, while adding luxurious color. 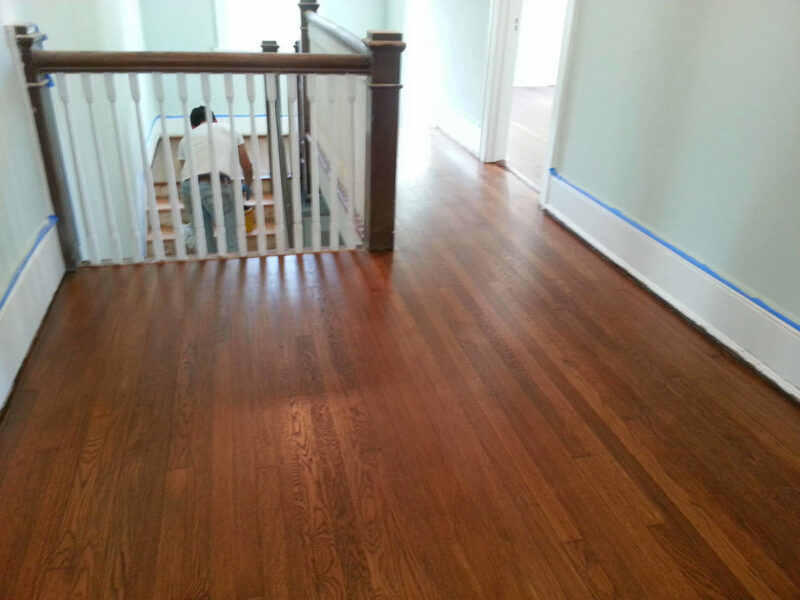 A coat of stain takes the place of a polyurethane coat. 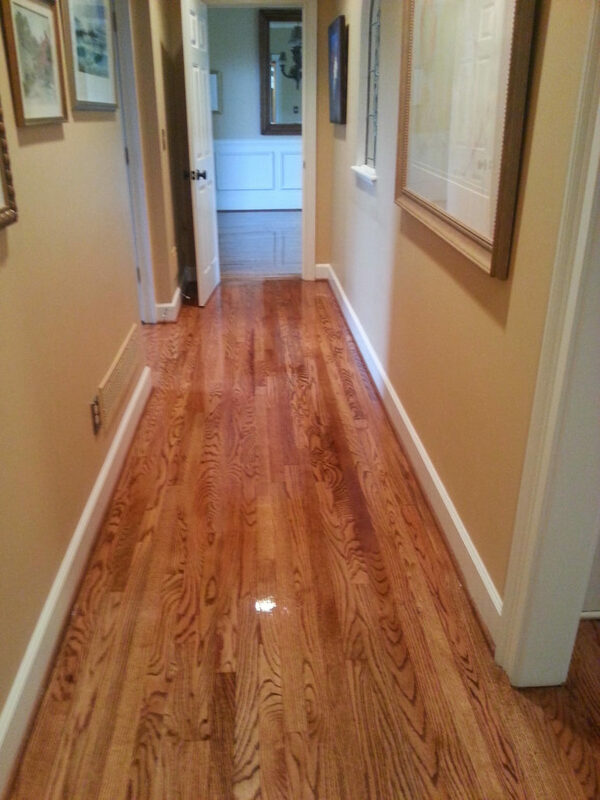 Example: one coat of stain with two coats of polyurethane is needed to complete a finishing job. 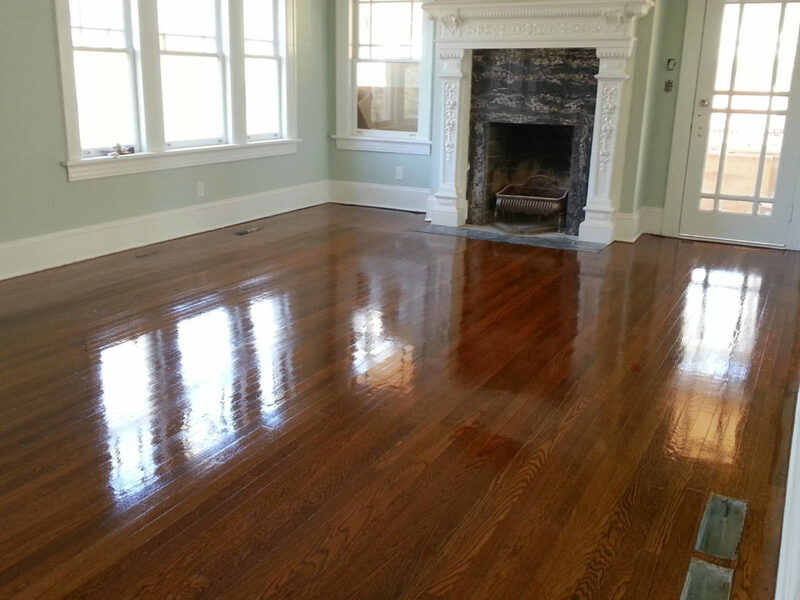 A natural finish takes three coats of polyurethane with no stain coat. A dry, smooth subfloor. If necessary it will be sanded and cleaned thoroughly. A suitable subfloor that is at least 3/4″ thick. Carpet board and waffle board must be removed. Desired type of wood, finish and grain pattern. Samples are provided. 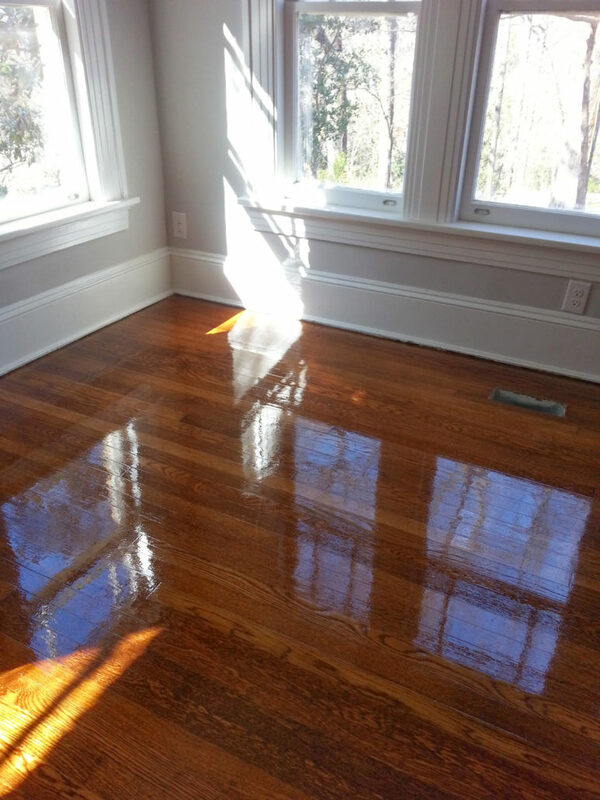 Dustless sanding of an existing wood floor usually consists of (2 – 4) passes. Each pass is done with a different grit of sand paper, with a final pass using a very fine 100 – 120 grit, depending on the type of wood being sanded. We stock sandpapers with grits of: 16, 24, 36, 40, 50, 60, 80, 100 and 120. The lower the number, the coarser the grit. 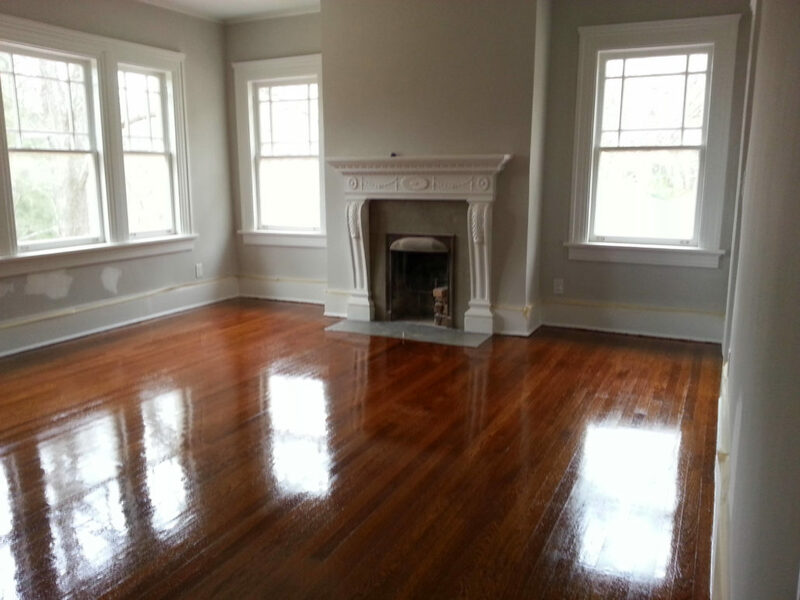 Our professional refinishers select the proper combination of sandpapers needed for the job. 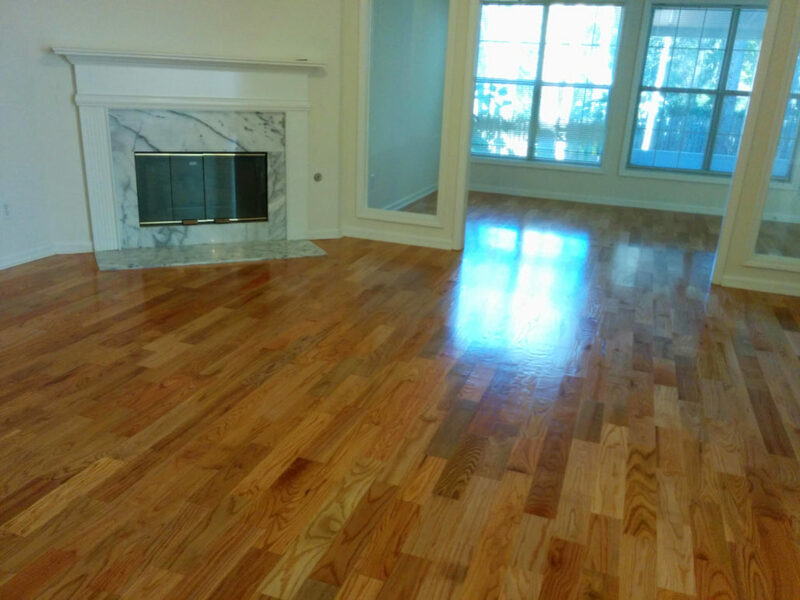 The installation of hardwood floors requires the same subfloor preparation as with prefinished flooring. The only difference is that sanding and finishing are required. 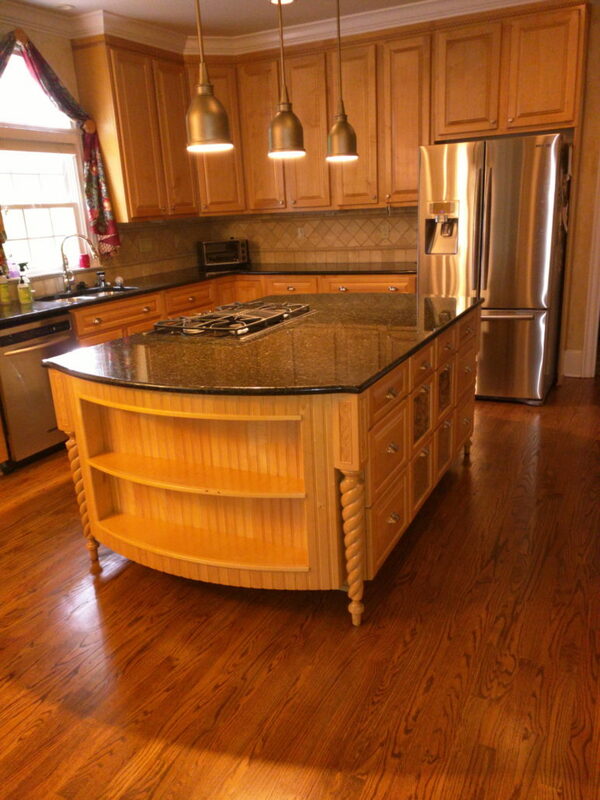 We also offer a “Sanding Only” option where the homeowner is responsible for the finishing. Contact us for a Free Estimate, Price Quote or Consultation. They are the best!! 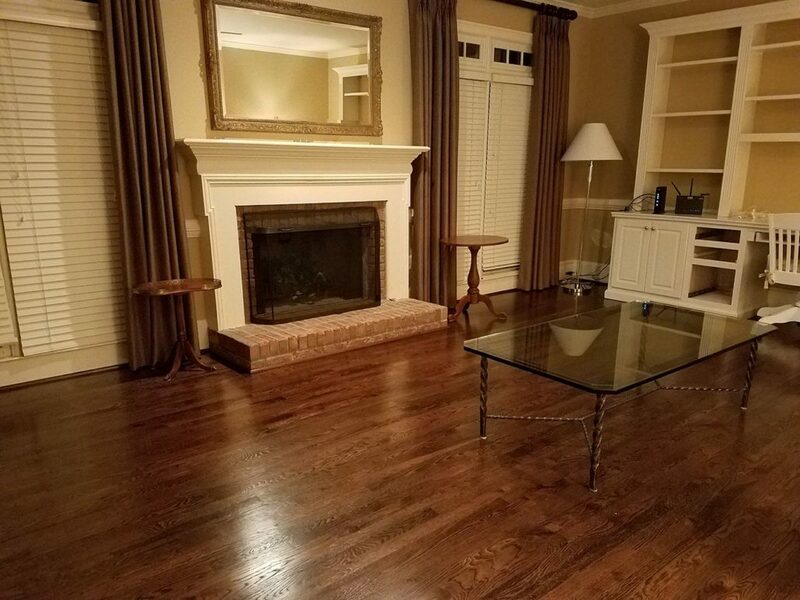 Eric Rios and his fabulous team installed 5 inch plank red oak hardwood floors on my entire main level, and they did a fabulous job! They came when they said they would, removed the existing flooring very quickly, and installed new flooring in a professional manner. I feel like I have a whole new house! I could not decide on a stain, so Eric put down several for me to choose from and left them for a few days until I made up my mind. The whole project went smoothly from start to finish, and Eric is such an honest, trustworthy guy. He also picks up the phone when you call, which is such a breath of fresh air! 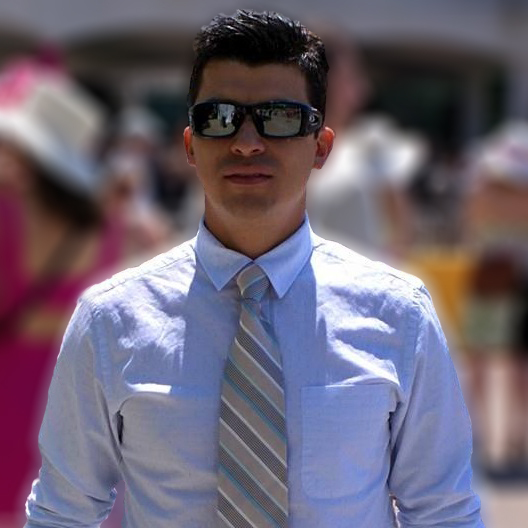 I HIGHLY RECOMMEND ERIC RIOS! We’ve had several different projects done around our house over the years, so we are not new to working with contractors. Most of the time we’ve been pretty happy with the contractors we’ve used. My wife and I both agree that Erick and his crew are the BEST we’ve ever had. Erick came out to give a quote on time after we spoke on the phone, he emailed me the quote BEFORE the time he told me he would get it to me by, they showed up EVERYDAY at the times they said they would, everyone on the crew was friendly, everything was cleaned up each day, he ANSWERED his cell phone when I called him, their price was very reasonable, and most importantly, the quality of the job was FANTASTIC. We HIGHLY recommend them. Eric replaced our carpeted stairway to the second floor with hardwood steps and also replaced carpet with hardwood floors in our upstairs hallway. He did a terrific job at a very reasonable price on time and within estimate. 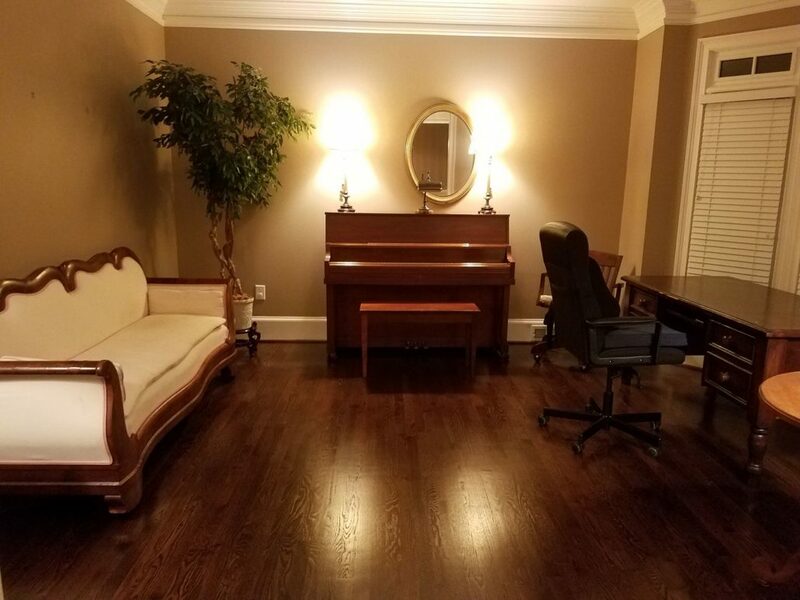 His crew did a great clean up of the work area and we couldn’t be more pleased. We would highly recommend Eric and his company. 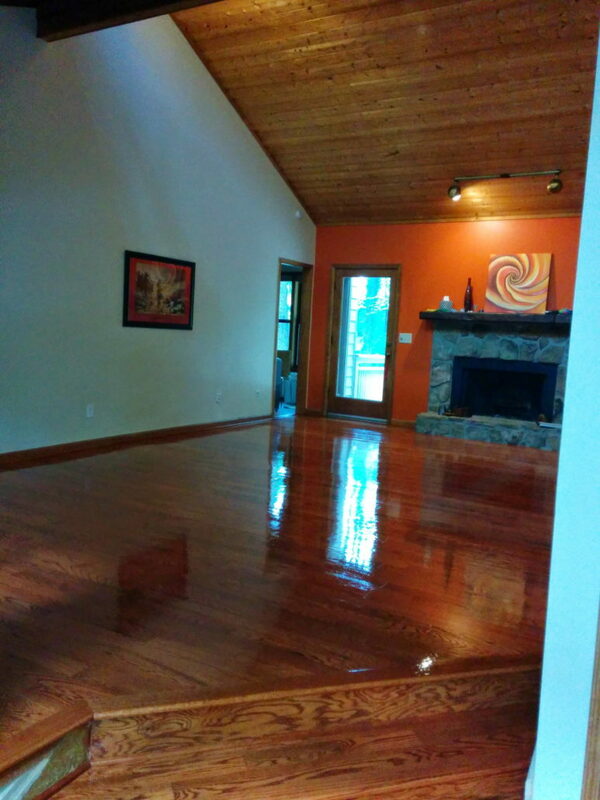 Eric refinished some existing wood flooring for us as well as install new hardwoods. Despite some unforeseen challenges Eric and his crew finished on time and stuck to the original price quote he gave us (aside from a couple minor additions we chose). Eric was always on time or in touch about the process, the quality of work is excellent and the house was free of dust when they finished. We are very happy and highly recommend Rios. Erick just refinished my hardwood floors and steps. They look WONDERFUL. He and his team did a GREAT job! They were on time, very professional and hard working. I was expecting a dusty mess but it was minimal! They were very neat and cleaned up any mess that was made. I would highly recommend Erick. He is extremely talented and is a pleasure to work with.